We appreciate our guests who take the time to give us feedback. We invite you to read through some of their comments below or visit TripAdvisor or BedandBreakfast.com for more guest reviews. 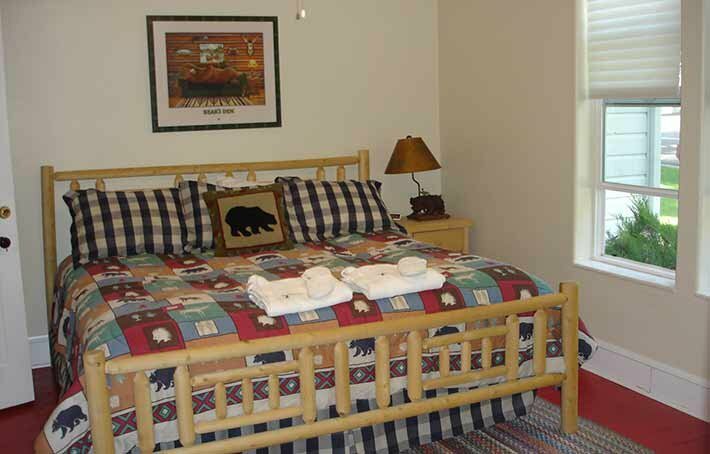 If you've stayed in our Bear Lake Idaho Lodging, we invite you to leave us a review. We spent 2 nights here on our way from Yellowstone/Teton to Salt Lake to fly home. It was a great find, we were made very welcome, the breakfasts were freshly cooked and lovely. The room was spotless and there was a good communal sitting area and a hot tub. The views over the lake are beautiful and Cindy and Kip were helpful about where to visit and eat. The inn is a beautifully restored farm house and is family run. We stayed in the hummingbird room with two very comfy queen-sized beds, great shower, warm cookies, a nice sample of Bluebird chocolates, and bottled water. Coffee, snacks and soft drinks were available anytime. The grounds were spectacular with waterfalls, ponds, flowers and lots of Apple trees. The Inn overlooks beautiful Bear Lake with access to a private beach. Breakfast served by Mom and daughter-in-law was scrumptious. They recommended Coopers (up the hill) for dinner. The food was very good (I had the trout). And the view of Bear Lake was awesome. The jewel of Bear Lake! I can't recommend this place enough. We have stayed here twice on our way to Yellowstone and the Grand Tetons and it's perfect. Everything is immaculate and Cindy has paid attention to every detail. The rooms are charming, cozy and welcoming. The service is first rate and all the family are so welcoming. Breakfast was great and Cindy catered for our various needs - a vegetarian and a non-egg eater! Add to that an amazing view and you have the lot. If we are lucky enough to be in Idaho again we will definitely be back! 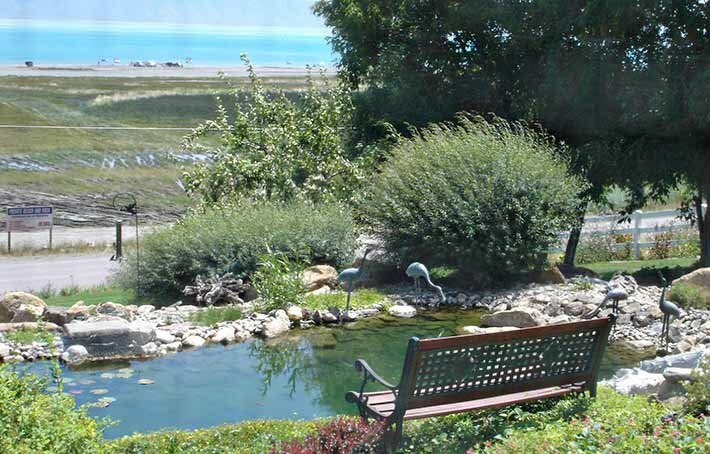 The Bluebird Inn has beautiful grounds and is set on a hill across from Bear Lake. The views are fantastic, and we felt so relaxed staying there. Breakfast was amazing, and the owners are very friendly and attentive. We happen to be there during apple season so were able to enjoy the delicious fresh-picked fruit from the trees in the yard. Thank you! What a great find during our trip out West! After a beautiful day on Bear Lake, we were greeted with such warmth at the Bluebird. The rooms were large and VERY clean! Would recommend to anyone! Wait till you see the breakfast. Beautiful and delicious! This is the best B&B we've ever stayed at. 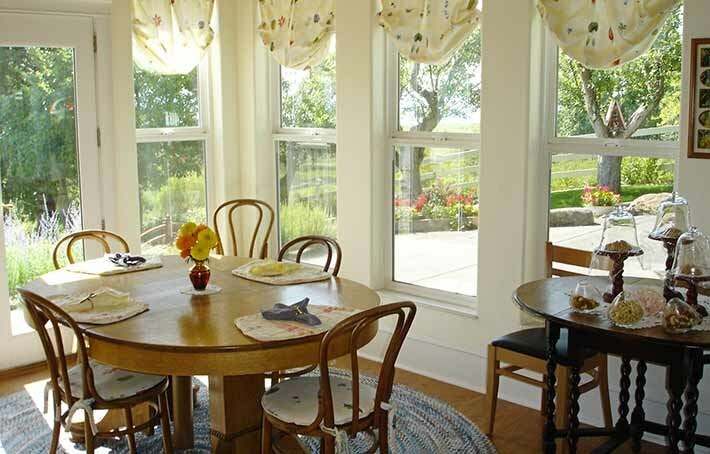 The grounds are incredibly landscaped, the completely renovated farmhouse is cozy and inviting, and our room, the Anniversary Room, which had spectacular views of Bear Lake, was immaculate. The owners were friendly and fun to talk to, and the breakfast was wonderful. Can't think of a better place to stay.